Yesterday I visited one of the areas I'd been researching to see if I could find some Civil War relics. I ended up hunting in a spot a mile or two down the road from where we'd intended to hunt at the location of what had been an old homestead at the time of the Civil War. One of the things that made this a particularly exciting area to search was the abundance of old glass and ceramic shards that littered the area. It was difficult to take a step without seeing broken shards or pieces of brick. In the midst of this debitage, I got a great audio signal on my E-TRAC. Due to the amount of iron in the vicinity, I was hunting in two-tone ferrous mode and swinging really slowly. The high tone really stood out and was solid and repeatable from all directions. 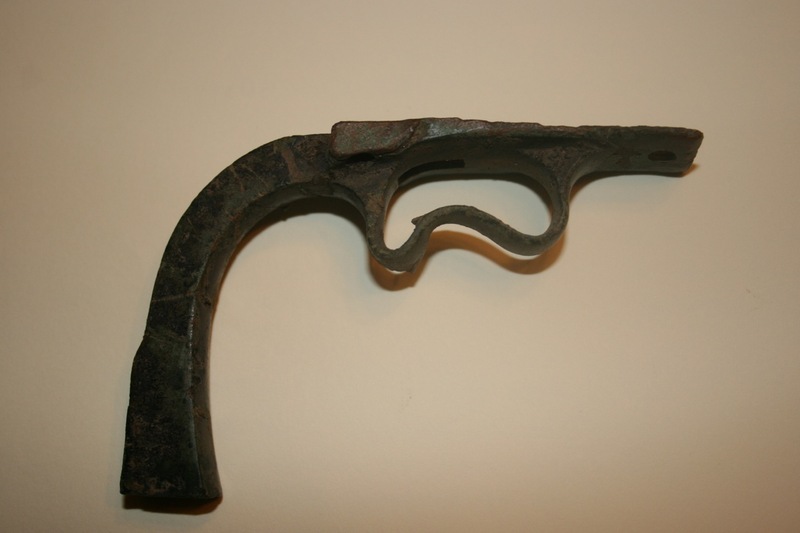 It's the solid brass trigger guard assembly of a Colt percussion revolver. There are many varieties of Colt pistols with the two main variants being the Colt 1851 Navy Revolver in .36 caliber and the Colt Army Model 1860 in .44. Both "belt pistols" used the same frame and both were single action, black powder, cap and ball pistols. 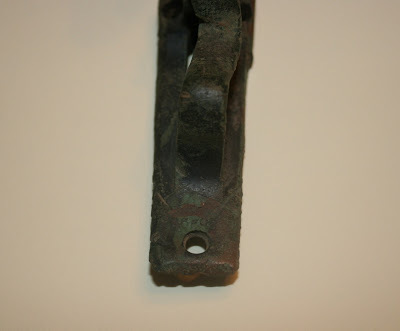 The serial number on the trigger guard I found is readable on the leading edge of the plate behind the mounting screw as in the one pictured above. It's probably not apparent from the photo, but the serial number is 85997. 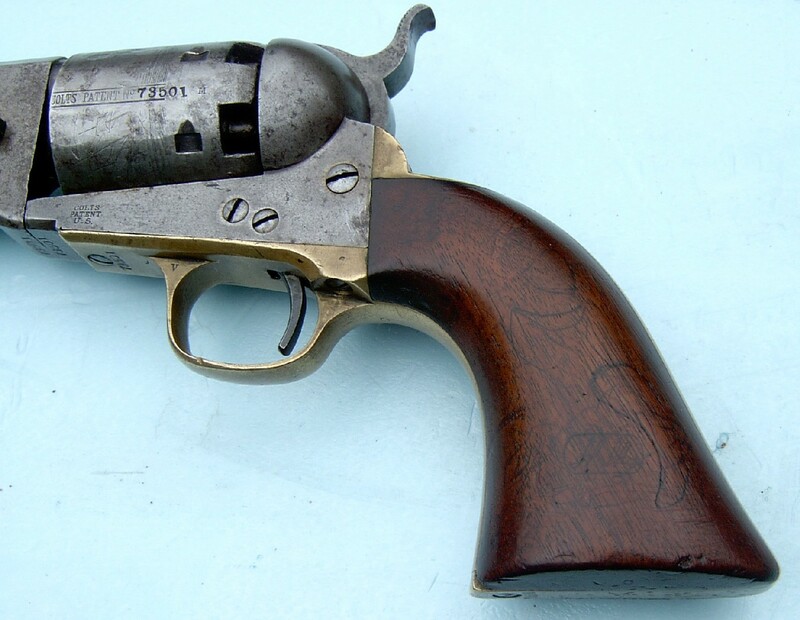 If it's from a model 1851 Navy Revolver, that would put it's manufacture in 1858. If the trigger guard is from an 1860 Army Revolver, it's year of manufacture is 1863. If I'm able to definitively identify the model, I'll post an update. 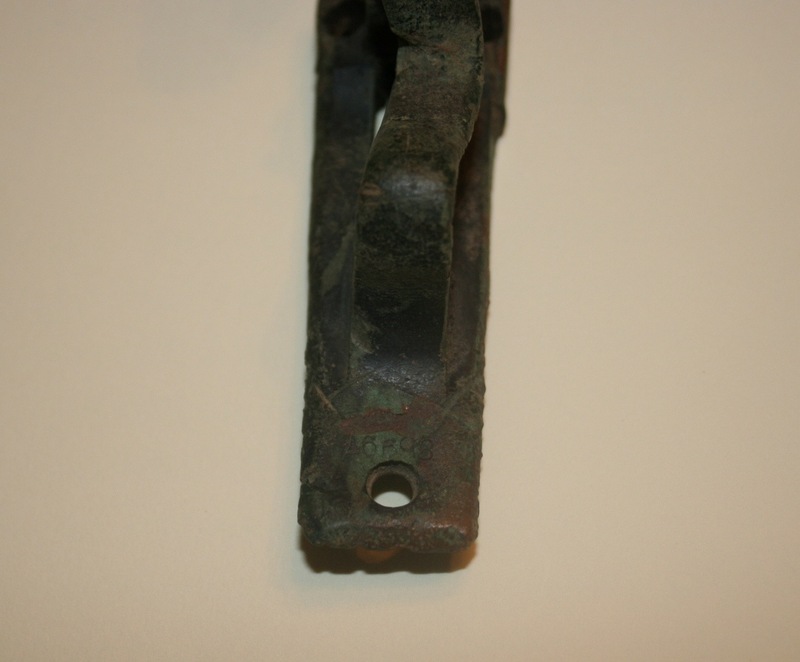 Either way, it's likely that this pistol saw action in the Civil War. I'm wondering if the similarity is evidence of intentional destruction to render the weapon inoperable? If anyone has any information about this, please drop me a line or comment on the blog. This apparently very old bottle was a surface find. The particular house we were hunting was there at least as far back as 1815 and probably for longer than that. 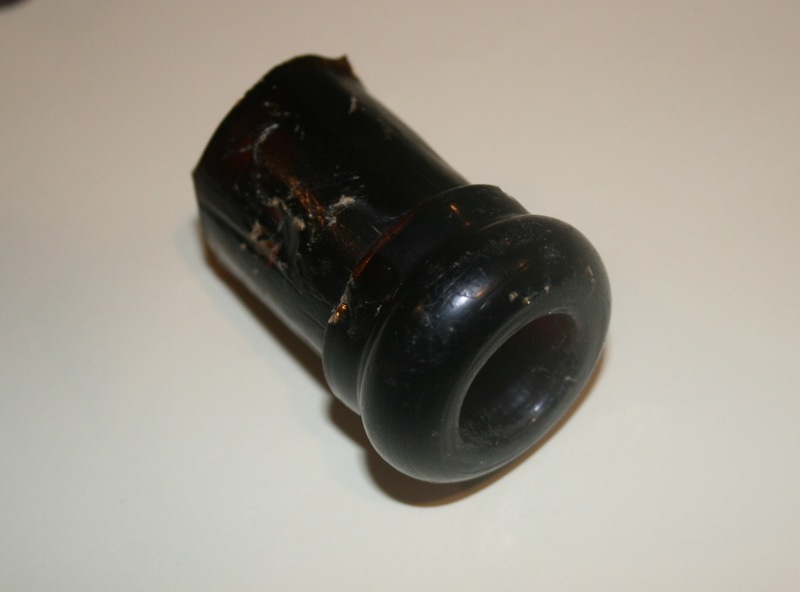 Judging by the color, form, and extreme thickness of this bottle mouth, I'm guessing it's early 19th or late 18th century. 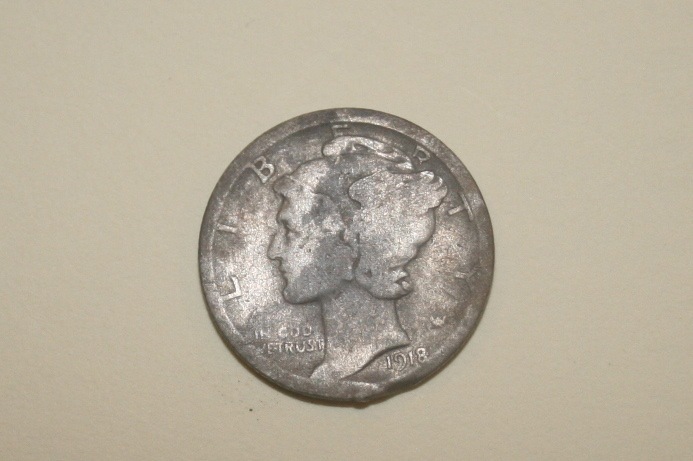 One more neat find at this site was an old Mercury dime. The date is 1918. It's not often you hunt a location that was occupied for a century! I'd like to thank the gracious landowner for allowing us to hunt on their historic property. This one deserves another visit soon so stay tuned. For an overview of the design and history of these two great cap and ball revolvers, I highly recommend this excellent video by Mike Beliveau. 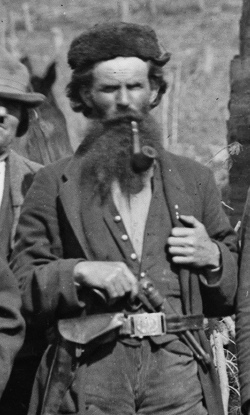 A scout carrying his "Colt Revolving Belt Pistol" in Brandy Station, VA.